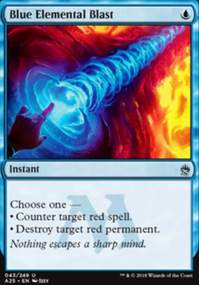 Infinite casts with Spelljack and Leyline of the Void? How does Guile work with Remand? 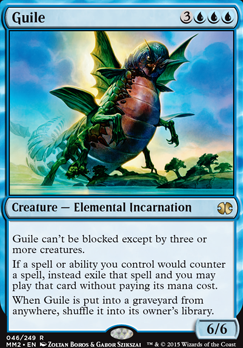 What happens when a creature token of Guile goes to the graveyard? Sounds like you're taking this apart, but what are your thoughts on Dovescape + Guile combo. Also, what are your feelings about Intruder Alarm ? Seems like that could work well with Ertai. Also, I forgot to mention this, but Ethereal Usher is especially important since it fetches either half of the Guile / Dovescape combo. Super cool!!! Guile turns opponents win conditions against them! triproberts12 on Does this Count as Annoying? If you put in Dovescape , include Guile , as well, for the combo lock. (Sry I accidentally hit post on the last comment). I'm not done. You have no threat of reuse. Most control deck at the very least have Snapcaster Mage or the new Mission Briefing . The power to recast any spell in your graveyard is sooo powerful im not even going to explain. It would take too long. Long story short, you need some. 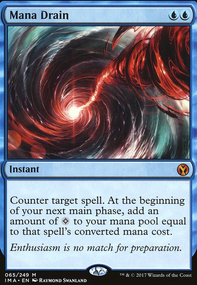 I'm thinking you could drop Vapor Snag for a playset of Snapcaster Mage / Mission Briefing . 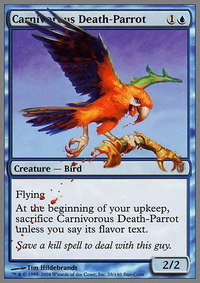 You need to rethink your threats and creature count. Guile is fine, but have only one copy doesn't really work. Creating a blockade has always been secondary to control deck. 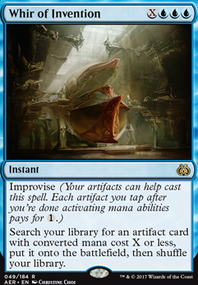 I think you should drop AEtherling and both Detention Sphere for 3 copies of Torrential Gearhulk . Gearhulk gives you better control, a free spell and is just better in general. Your removal is also EXTREMELY expensive. Particularly, Blessed Light . Path to Exile is probably the best modern-legal removal in the game. 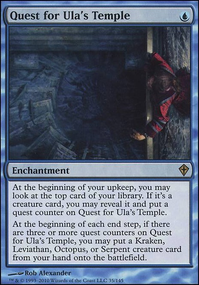 My thought are get rid of Blessed Light and Bring to Trial for a playset of it. Again, creatures don't matter. Which makes Valor Made Real COMPLETELY useless. I'm thinking get rid of that and have 3x copies of Guile .